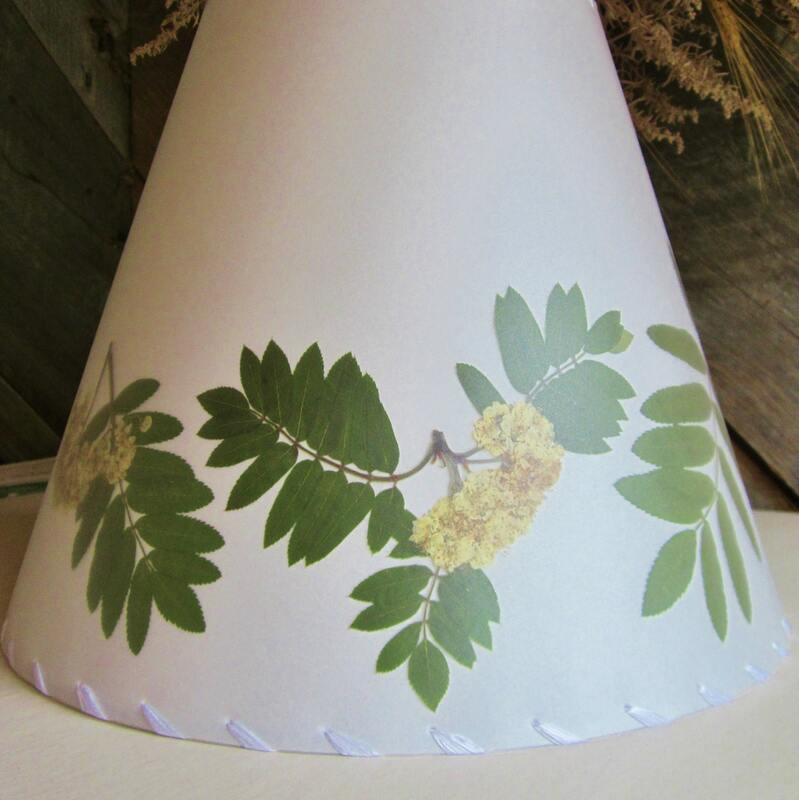 This lovely forest inspired rowan leaf Botanical Lampshade places real dried pressed leaflets and flower clusters into a functional art piece which will not just light up the room, but brings a bit of Celtic folklore and spirituality into your home. The size shown is 6" top, 12" bottom and 9" tall, with washer top hardware for a lamp that has a harp. The rowan leaves and flowers are protected beneath a clear polycarbonate layer, which is easily cleaned with a damp cloth for decades of use. Please click +More and scroll down to read the full description and view all photos. The shade you receive will not be this exact one but very close in design. As no two leaves or flowers are exactly alike, the plant material and layout will be very similar but may differ slightly in size, shape, or color. 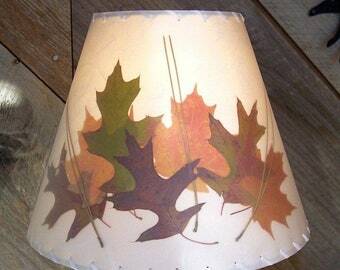 Both sorbus aucuparia and sorbus americana are used on these lampshades. We have both species growing wild and planted as landscape trees in New Hampshire. Rowan trees are closely associated with Saint Brighid, the Celtic patroness of the arts, hearth and home. Brighid offers protection to mothers and families, and the arts of healing, spinning, weaving and blacksmithing are her domains. Spindles, spinning wheels, and tools were made of rowan, both for their strength and for the sacred, protective and enlightening qualities that ancient Celts recognized in rowan trees. Pieces of rowan wood and berries were used around the home to protect the family from misfortune and evil spirits. 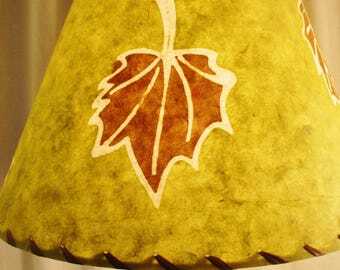 Bring a touch of nature and Celtic magical traditions into your home with this lovely pressed rowan lampshade for years of enjoyment and maybe some protection and enlightenment will also come your way! Other sizes available - please convo me with your specifications. Shipping costs will likely be less on smaller sizes. Please read my policies on purchasing lamp shades before you order. There are NO RETURNS on custom lampshades. Please check the size and hardware carefully and be sure the shade will work for you. I am very happy with my purchase, the shade is so beautiful and the workmanship is perfect.